Moist and tender pineapple carrot cake is flavored with the perfect blend of warm spices then topped with a creamy and tangy homemade cream cheese icing. Why is it that carrot cake is always relegated to an Easter dessert? Is it because people associate carrots with the Easter bunny? This sweet, spiced cake topped with tangy cream cheese icing is delicious enough to enjoy the entire year. 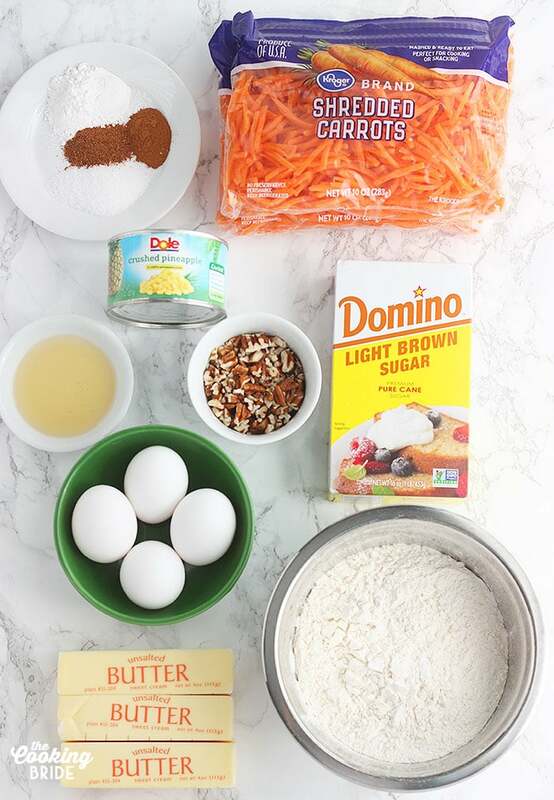 Carrot cake is thought to have originated from carrot pudding made during medieval times. Back then, raw sugar was considered a luxury item. People used fruits and vegetables, such as carrots, as natural sweeteners. Fast forward to the 20th century. Because of sugar rations during WWII, the British government began encouraging citizens to find creative ways to use natural sweeteners. 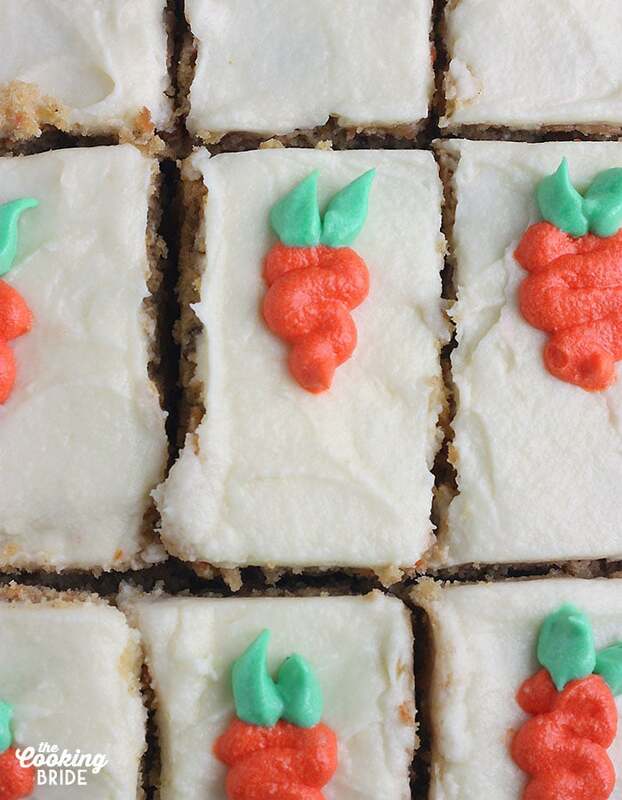 Carrot cake began to rise in popularity, eventually making its way across the pond to the U.S. It reached its height of popularity in the 1960’s and 70’s. However, carrot cake still remains a much-loved dessert by many. 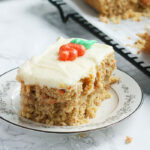 Despite its name, carrot cake does not taste like carrots. As the cake bakes, the carrots soften and release their natural sugars. The flavor more closely resembles a moist spice cake. 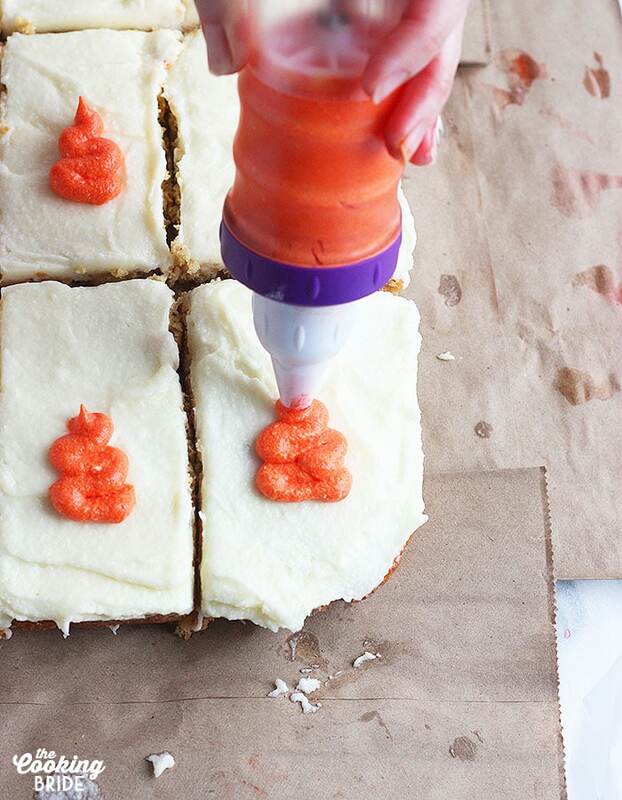 In fact, if you were to perform a blind taste test, you probably would never guess there are carrots in the cake at all. 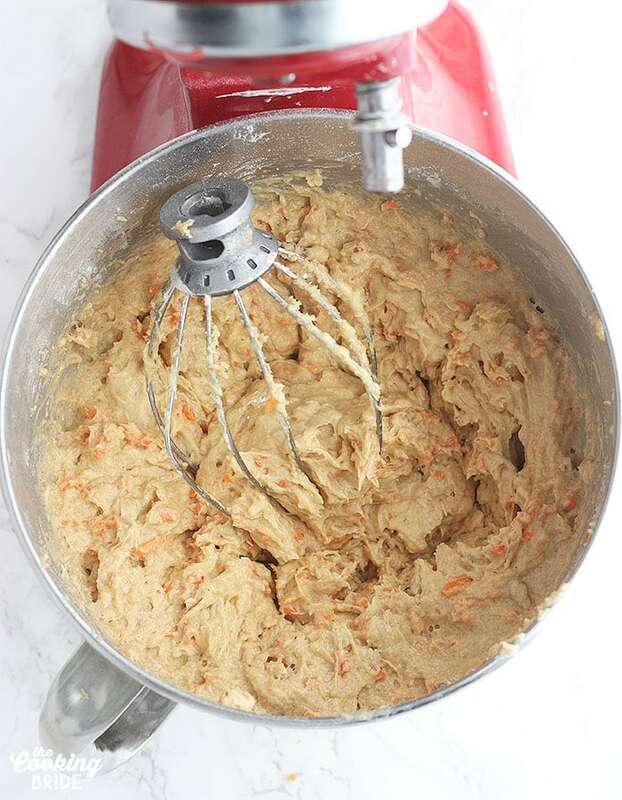 A basic carrot cake recipe includes grated carrots incorporated into a spiced cake batter. Over time, people have developed other variations that include chopped nuts, raisins and pineapple. I am a huge fan of pineapple. I will look for any excuse to add it to a recipe. 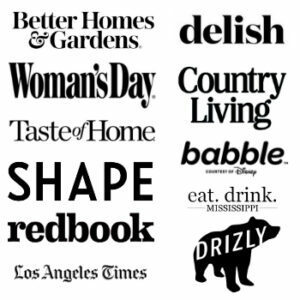 I love the juicy, tropical flavor it adds to recipes like Pina Colada Pineapple Bread Pudding, Pineapple Poke Cake and Hummingbird Bundt cake. Before you get started, preheat the oven to 350 degrees. Also, set out 2 ½ sticks of unsalted butter to come to room temperature. This will take about 30 minutes, depending on the temperature of your house. Once the butter is soft, combine it with 1 ¾ cups of light brown sugar. Beat the butter and sugar together until the sugar is incorporated and the butter is fluffy. 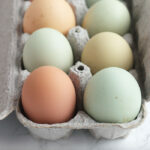 Next, add four large eggs, once at a time. Beat the mixture well after each addition. Then add two teaspoons of vanilla extract. Second, combine the dry ingredients in a medium mixing bowl – 2 ¾ quarter cups of flour, 2 ½ teaspoons of baking powder, 1 teaspoon of salt, ¾ teaspoon of grated nutmeg and ¾ teaspoon of ground cinnamon. With the mixer on low, gradually add the dry ingredients to the batter, mixing in between each addition. 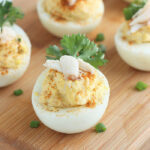 Finally, add one 8-ounce can of crushed pineapple, ½ cup chopped pecans and two cups of chopped or grated carrots. A lot of recipes call for chopped carrots. Y’all, I don’t know about you, but I don’t have the patience to hand grate two cups of carrots. I buy a package of preshredded carrots and pulse them in my mini food chopper a few times to turn them into smaller pieces. Works like a charm. 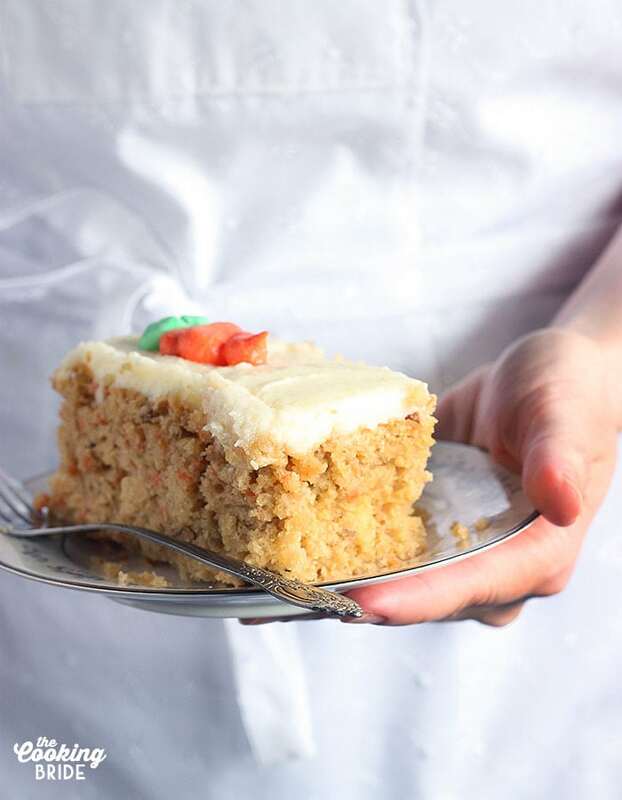 Traditionally, carrot cakes are made as a three-layer cake. I hate fussing with layer cakes. 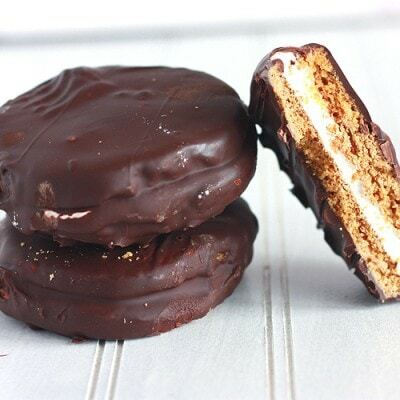 Sheet cakes are more family picnic – much more my vibe. 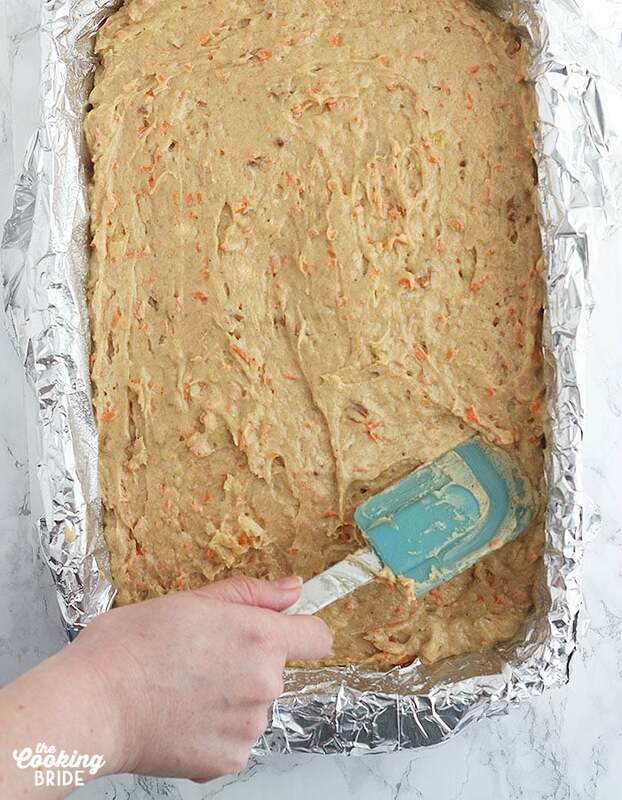 Baking it as a sheet cake also eliminates a common problem among carrot cakes – the center falls as it cools because the batter rises too quickly, leaving a divot in the center of the cake. Pour the batter into a greased 9 x 12 x 2-inch cake pan or Pyrex dish. Bake for 30 minutes until a toothpick inserted near the center of the cake comes out clean. While the cake cools, prepare the cream cheese icing. Simply combine one 8-ounce package of softened cream cheese and one stick of softened unsalted butter. Beat the cream cheese and butter together until smooth. Turn the mixer speed to low and add one cup of powdered sugar. It’s very important to turn the mixer speed down until the sugar is incorporated or you could end up with powdered sugar everywhere (I speak from experience). Once the first cup of powdered sugar is mixed in, add a second cup. 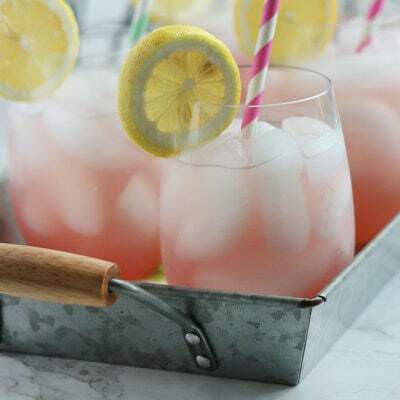 You may need to stop the mixer, scrape down the sides of the bowl and start mixing again just to ensure all the sugar is combined. Finally, add one teaspoon of vanilla extract. 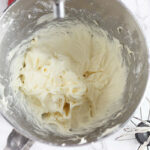 Check out my post on how to make cream cheese icing for more tips and techniques. 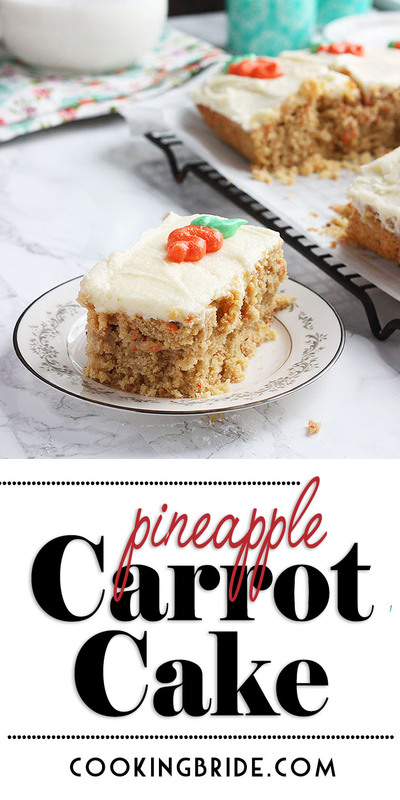 Can Pineapple Carrot Cake be Made in Advance? Unfrosted pineapple carrot cake can be made 2-3 days in advance. Allow the cake to cool, then wrap securely in plastic wrap to prevent it from drying out. For best results, store in the refrigerator to prevent mold from forming. Once frosted, place the pineapple carrot cake in a covered pan. The frosting will help to keep in the cake’s moisture, but you don’t want that cream icing to turn hard. Does Pineapple Carrot Cake Need to be Refrigerated? There is some debate. Some feel because of the cream cheese icing, carrot cake should be refrigerated within two hours. 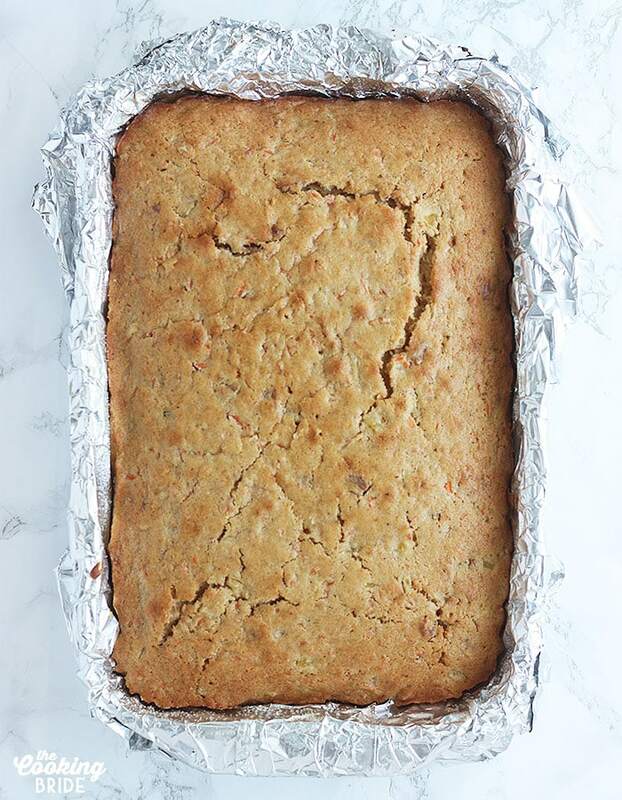 Others say as long as it is kept in a covered pan or cake dome, pineapple carrot cake will last on the counter for a couple of days as long as the room is relatively cool – around 70 degrees. I’ve eaten carrot cake both ways and I’ve lived to tell about it. However, if you don’t plan on eating the cake within two days, it really does need to go in the fridge to prevent mold from forming. For unfrosted cake, I suggest wrapping in in a layer of plastic wrap followed by a layer of foil just to prevent weird flavors from the freezer transferring into the cake. Pineapple carrot cake will keep in the freezer for three months. For a frosted cake, clean out a level spot in your freezer and set the entire cake in there uncovered. If you want think you’ll only want to eat once piece at a time, go ahead and cut the cake into individual servings. Once the cake has frozen solid a few hours later, carefully wrap the cake or individual cake servings in plastic wrap, followed by a layer of foil. 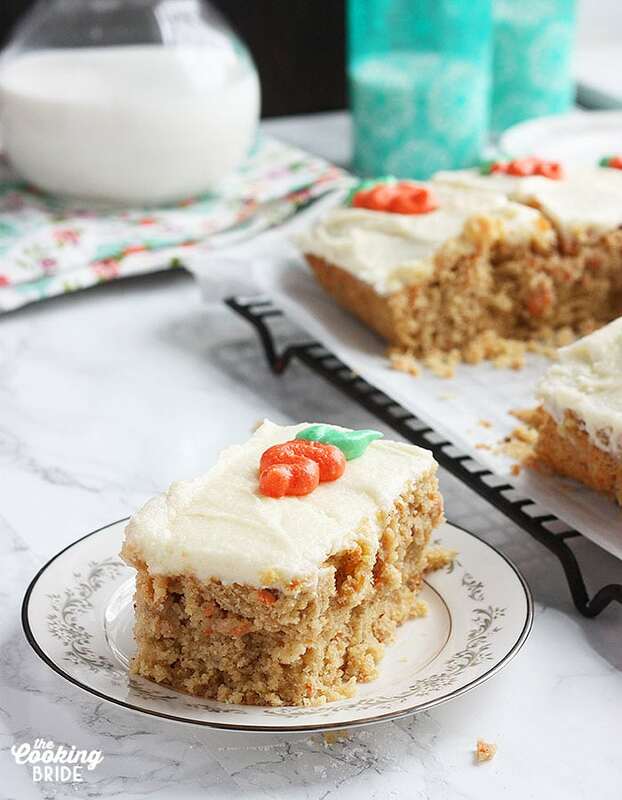 Moist and tender pineapple carrot cake is flavored with the perfect blend ot warm spices then topped with a creamy and tangy homemade cream cheese icing. Cream butter. Gradually add sugar and continue to beat until the mixture is fluffy. Add eggs, one at a time. Beat after each addition. Combine the flour, baking powder, salt, nutmeg and cinnamon in a medium mixing bowl. Add half the dry ingredients to the wet ingredients, mix until incorporated. Repeat with the remaining half. 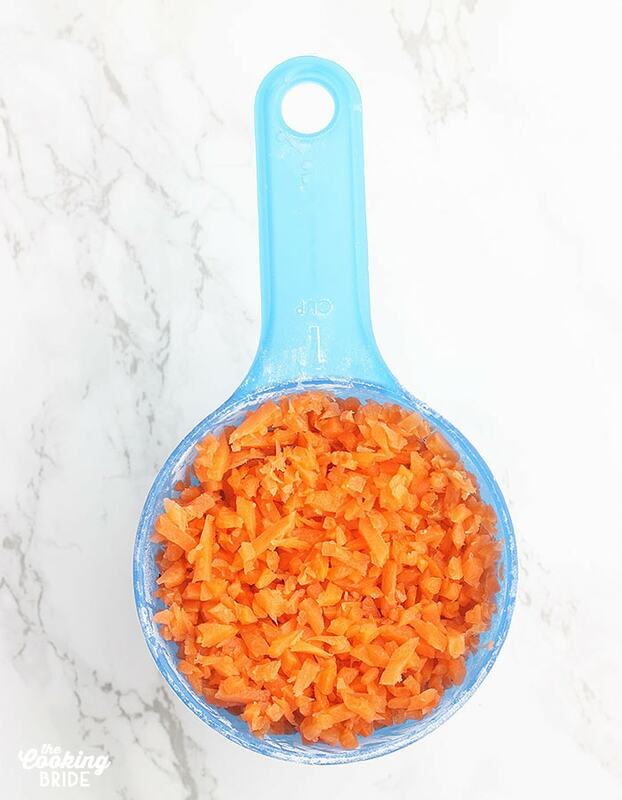 Stir in the shredded carrots and crushed pineapple. Pour the batter in a greased 9 x 12 x 2-inch cake pan or Pyrex dish. Bake for 30 minutes until a toothpick inserted near the center of the cake comes out clean. Allow the cake to cook before icing. In a large mixing bowl, combine softened cream cheese and butter until smooth using an electric mixer at medium speed. Reduce the mixer speed to low. Add one cup of sifted powdered sugar to the cream cheese mixture. Once the powdered sugar is combined, add another cup of sifted powdered sugar. Continue to beat until the mixture is smooth and creamy. Spread or pipe the cream cheese over the cooled cake.